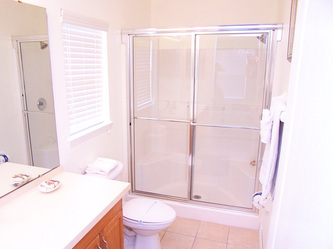 First Master King bedroom has en-suite facilities, Jack 'N' Jill seating shower. 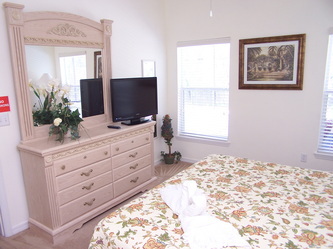 Hair dryer, full length mirrors, night stands with lamps & a radio alarm clock. A/C and a ceiling fan. 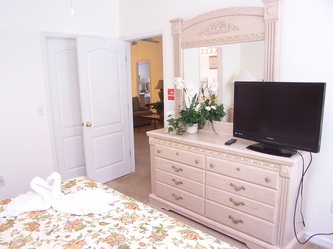 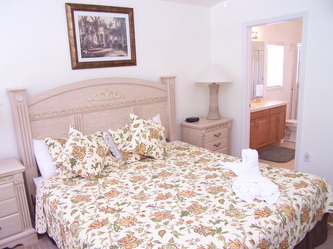 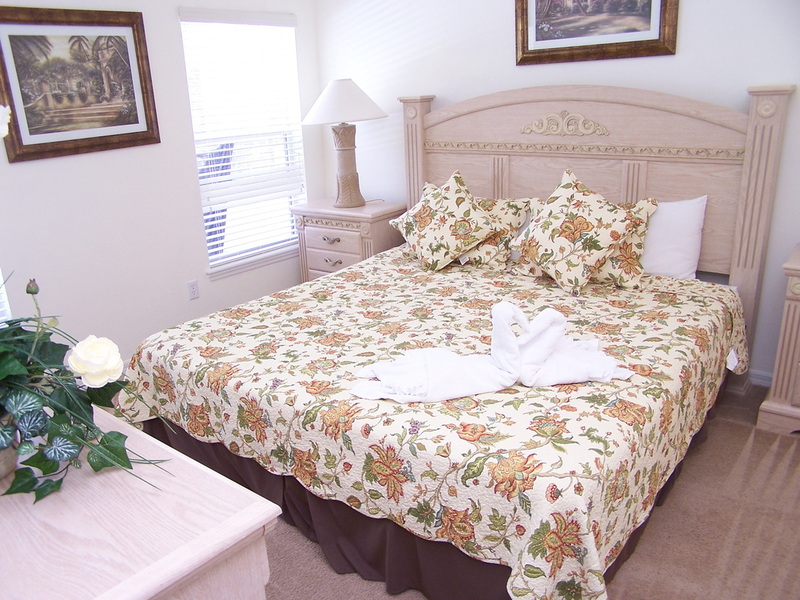 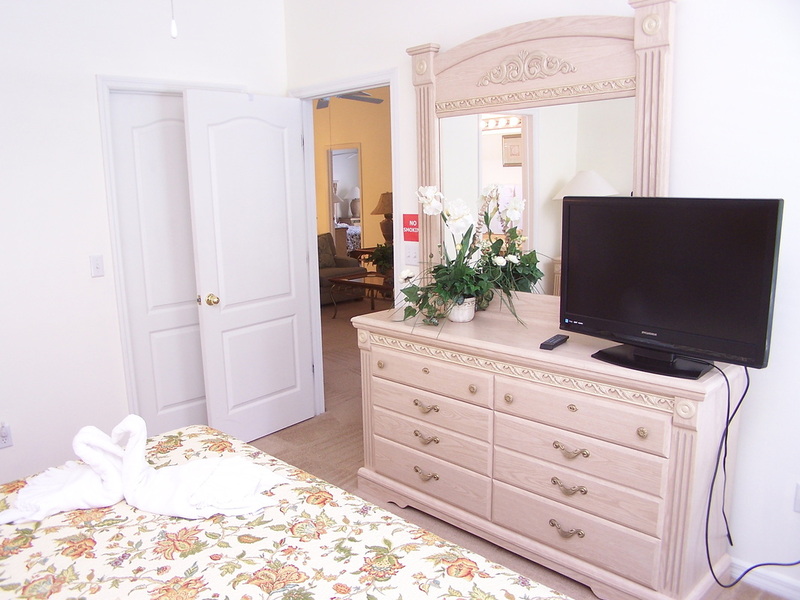 Full linen package (with spare towels in the cupboards) and a LCD FLAT SCREEN TV with remote. Overlooking the pool deck area. 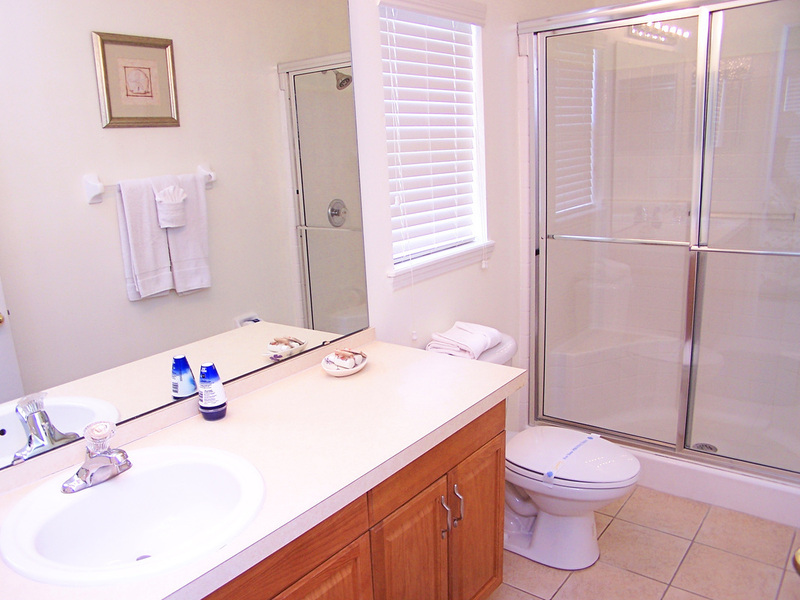 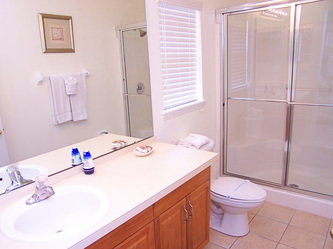 The bathroom has minimal toiletries A safe is also available.